Keep your chalk close at hand with our pocket chalker. 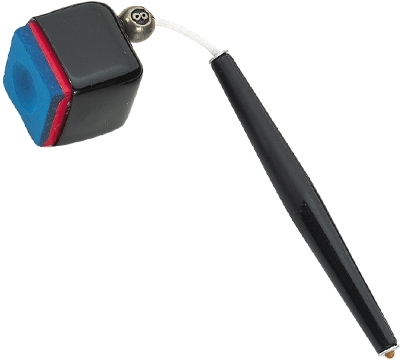 The vinyl chalk holder with miniature 8-ball accent is attached to a wand that slips into your pocket. Chalk included.